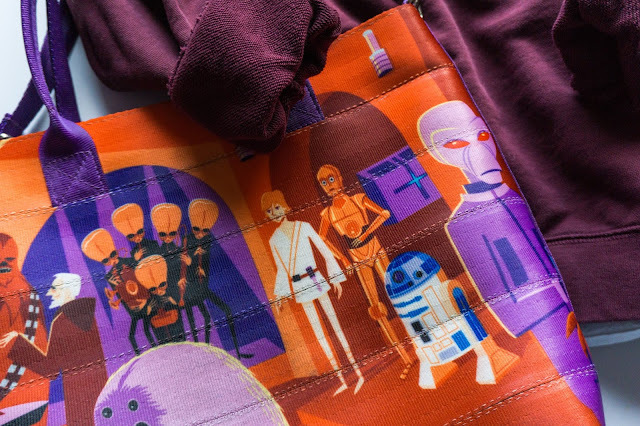 Star Wars Celebration Europe in London is quickly approaching and there will be all sorts of exclusive merchandise available for purchase at the show. Celebration Europe takes place on July 15-17, 2016, at the ExCeL London Exhibition Centre. This post contains the first wave of exclusives that have been announced to the public. 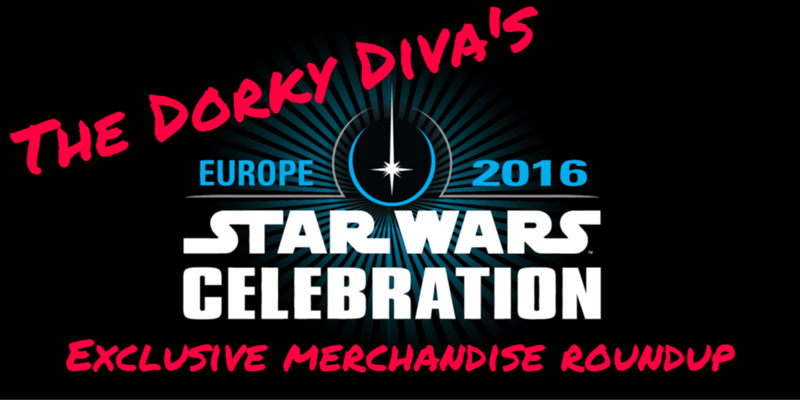 Another post will be following closer to the arrival of SWCE to cover any exclusives not mentioned in this article. Forbidden Planet will have an exclusive unmasked Kylo Ren 6-inch Black Series action figure complete with a melted version of Darth Vader's helmet. 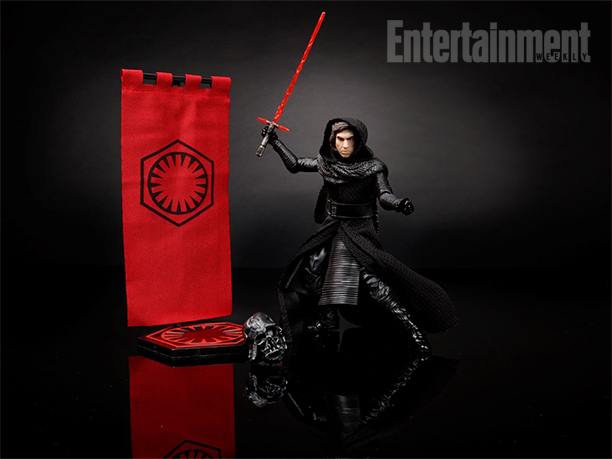 It also comes with Ren's helmet, his lightsaber, and a First Order banner. This figure pack will sell for $34.99. 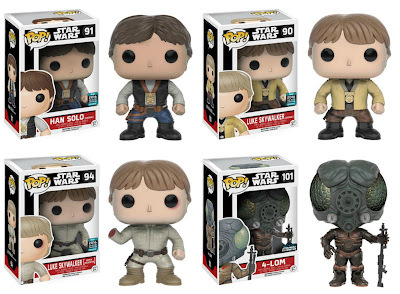 Funko will have four exclusive Star Wars POPs available for purchase at the show. 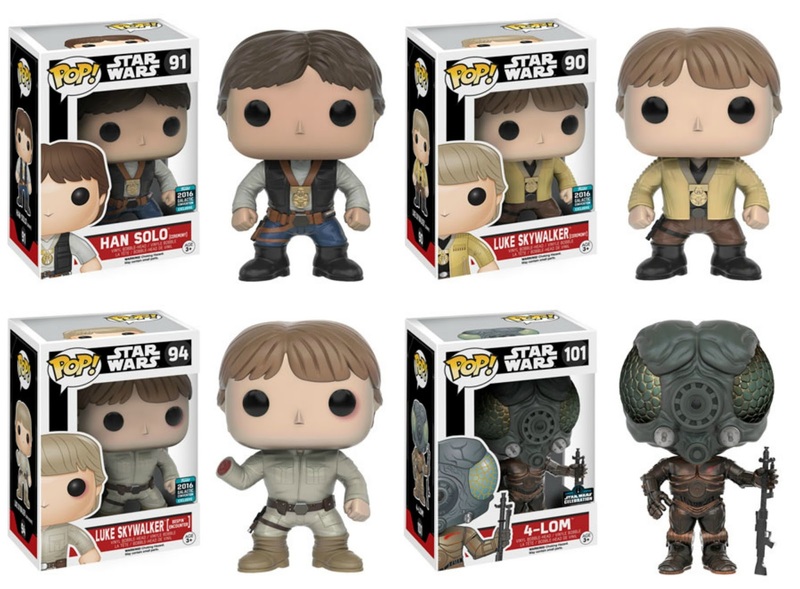 Ceremony Han Solo, Ceremony Luke Skywalker, and Bespin Encounter Luke Skywalker are considered Galactic Convention exclusives, which means they will be available at a few other shows this year. However, the 4-LOM POP is only available for purchase at Celebration Europe. Prices haven't been announced for these vinyl bobbleheads, but they typically sell for around $12.99 each. 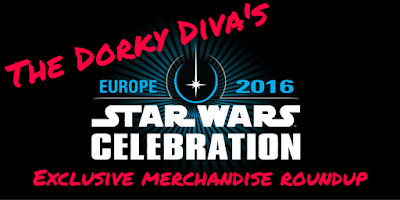 Toynk,com has an adorable basket of Ewok plushies for Celebration Europe. The plushies include papa, momma, baby, and child Ewoks. This set is limited to 1,000 pieces and you can only get it at SWCE. The price for this basket of Ewoks hasn't been listed yet, but you can grab it at their booth during the convention. Jakks Pacific will have a 20" big figure of Captain Phasma from Star Wars: The Force Awakens. Phasma is decked out with her fabric cape and a collection of First Order trooper blasters. 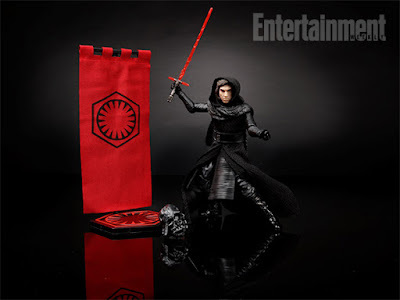 This figure will retail for 50.00 British pounds, which equates to about $66 in US dollars. 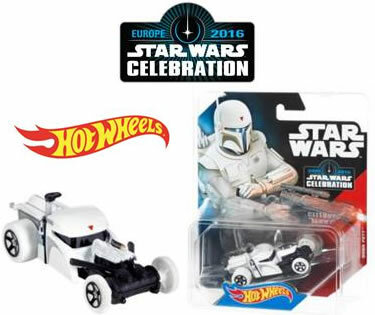 Star Wars fans can pick up Boba Fett's prototype armor in the form of a Hot Wheels race car at Celebration London. The packaging features the Star Wars Celebration Europe logo along with artwork of Boba's prototype armor. The retail price for this toy car hasn't been released yet. Tamashii Nations will have a Teppou Ashigaru Sandtrooper with an exclusive black pauldron at Celebration Europe. This piece is almost 7 inches tall and it comes with interchangeable pieces. The Sandtrooper is only available at Celebration Europe, San Diego Comic Con, and the Tamashii Web Shop (Japan only with very limited quantities). No retail price is listed for this item.